Holly Frewen is engineering herself a bright future. 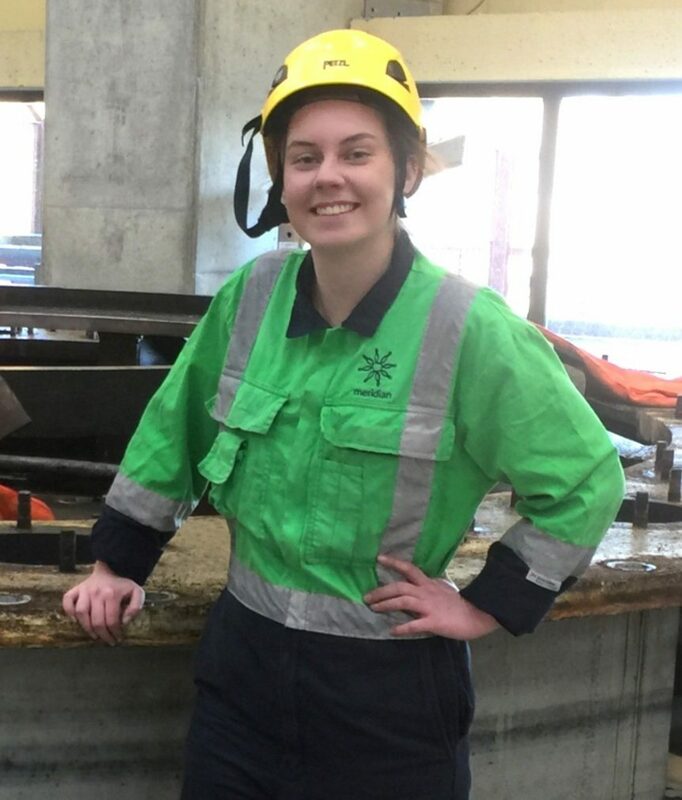 The 16-year-old Twizel Area School student now spends one day a week working with Meridian Energy’s mechanical team at Ohau as part of the Gateway programme, designed to attract and train new talent. That wish may yet come true for Holly as Meridian is looking to support her through a Mechanical Pre-trade course before taking her on as an apprentice. For Holly, her new prospective career path all began with a visit to Meridian via last year’s Girls with Hi-Vis® (GWHV) event in Twizel. “I was already taking engineering in school but had never really thought about taking it further. That Girls with Hi-Vis® event really opened my eyes to what was possible. Holly says girls who are looking to work in areas like mechanical engineering have to really seek out information on what is available, rather than waiting for it to come to them. The GWHV really helps with opening your eyes to possibilities girls might not know are out there, she says. “I would definitely recommend it to other girls. At least have a look, even if you don’t think it’s going to interest you. She adds that Meridian have been particularly supportive and make sure she knows what her options are. “They’ve really helped me understand how the pre-trades process works and what it can lead to. They’ve talked to me about exactly what is involved and about other students who have done Gateway and then gone on from there. It sounds really great.